You know this post is already a few months old because it begins with "one sunny Sunday", and it's been too damn long since we've had one of those. Anyhoo, one sunny Sunday, my buddy S and I set out with no greater purpose than to eat noodles and stroll around northeastern Tokyo with canned beers in hand. I'm happy to report that despite our lofty goals, we can report mission accomplished. We started out at Shinano Shinmen Resshi Junmei, which is even more of a mouthful than the noodles in question, so let's just go with Resshi for short. With a name like "Righteous and Chivalrous Warrior - Noodles of God from the Land of Shinano", are they running a ramen shop or a poorly subtitled Kung Fu movie? Of course, what holds up the upstanding warrior is nothing other than a "Bond of Hearts." As to the way that bond gets created, you'd have to ask an Edo period historian...but that's another story. In this case, Bond of Hearts is the name of one of a mover and shaker ramen group based in Tokyo and Nagano. 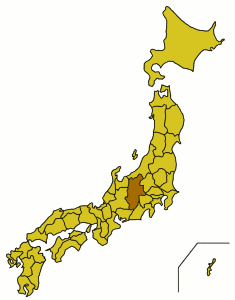 King of Hearts Tsukada Kenji himself hails from mountainous central Nagano Prefecture, known prior to the Meiji Restoration as the domain of Shinano. Of the Heart's groups many shops, what makes Resshi stand out is its focus on ingredients from that very same land. I couldn't tell you if the provenance of these komatsuna greens can be traced to Nagano Prefecture, but it was nice to have a healthy little free snack to start the meal off. Y'know, before sucking down the melted down fruits of the farm. I think there may be a domestic Nagano ramen tradition, but it's not strong, and I couldn't tell you exactly what "Nagano Ramen" contains, though I think it involves a pretty standard mix of chicken, pork, seafood, and konbu seaweed. And of course your choice of Nagano's own home grown shôyu (soy sauce) or miso. S and I both went with the miso, which is a totally different beast from the better known Sapporo-style. Shinano miso is blonde, almost white in color, and very sweet without getting too pungent. Well, readers, let me tell you. It works. I would trek over the mountains of Shinano, and maybe even break my own bond of hearts to eat this ramen. The noodles are thick, chewy, and a bit flat, and they work perfectly in the extra creamy soup, rich and complex. Great care went into the blending of this miso. The shôyu is actually the main menu item, and also gets high regards, but I can't but recommend the miso. S seemed to like it as well. Unfortunately, we didn't have room for the house-made creme brulee dessert. And just in case all that isn't enough to convince you, Resshi is part of the Nippon Ramen Association, an organization I have never heard of elsewhere, but is no doubt a group to be respected. After all, "they're cheering for you...with a bowl full of love," as the sticker says. Located right near the Kasuga subway station, you want to rush to Resshi! The information you convey very helpful at all, a lot of new things that I know after reading this article you wrote. This is one of the best pages I've visited glad to be in your yard this amazing I find your site from gogole. Thanks for sharing, and I would be very happy and happy if you are also willing to visit to our website and read them to share information and knowledge about health, disease and treatment. Thank you and may be beneficial for all.